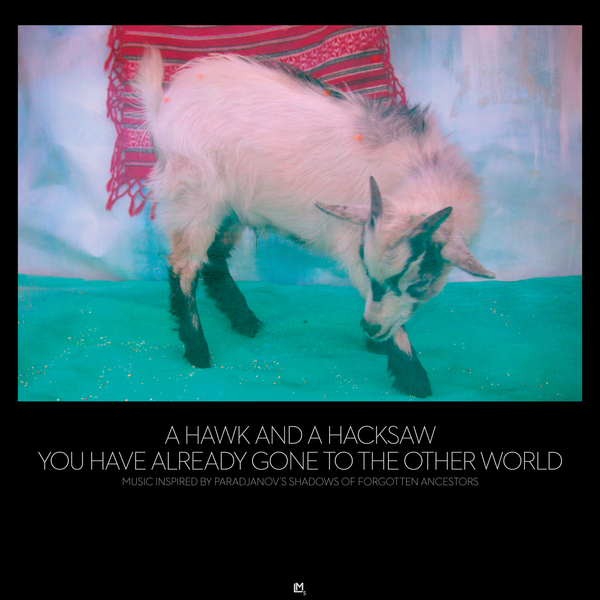 "A Hawk and A Hacksaw, the duo of Jeremy Barnes and Heather Trost, known for performing traditional and original music steeped in Eastern European folk traditions, present their sixth album You Have Already Gone to the Other World: Music Inspired by Paradjanov’s Shadows of Forgotten Ancestors. The sixteen tracks feature seven originals along with nine Ukrainian, Hungarian and Romanian traditional songs re-imagined and arranged with inspiration taken from the legendary 1964 film Shadows of Forgotten Ancestors by Russian filmmaker Sergey Paradjanov. Taking their cues from the surreal folk magic of Forgotten Ancestors, Barnes (of Neutral Milk Hotel) and Trost (who lends vocals and violin on Josephine Foster’s latest album) began composing new music to perform along with the film and, in 2012, took the project on tour, accompanying the movie live in cinemas and theaters internationally. The new album is the product of those tours and the evolution of the music into something that can stand on its own. 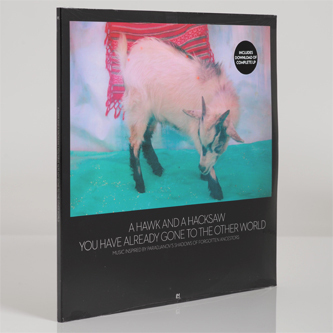 Produced by John Dieterich of Deerhoof, this is the first A Hawk and A Hacksaw album for some time to feature only its two primary members (with the exception of two tracks where Dietrich lends guitar) but the instrumentation is not minimal. Dieterich’s sense of musical experimentation has driven the group into new territories of folk psychedelia that explodes with rich ornamentation. 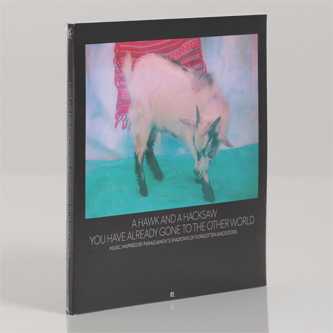 It’s also the band’s most dynamic album since they began their Eastern European adventure, with the thundering percussion and dramatic arcs of violin on the title track counterpointed by majestic solo pieces for Persian Santur, and piano, stately organ-led processionals and original sound and melodies from the film woven throughout."